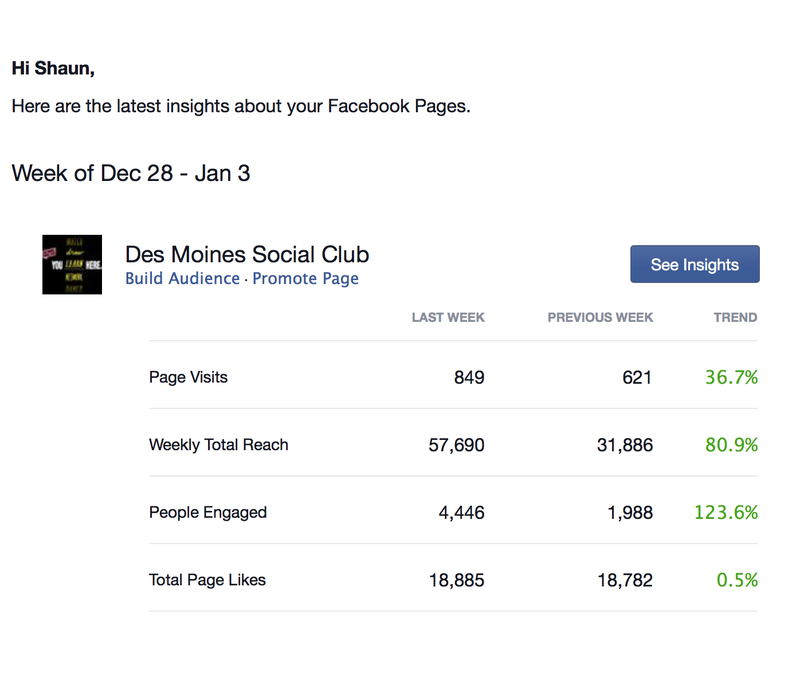 When I wasn’t creating events on the Facebook page and website, I was promoting/marketing events on our social media accounts. 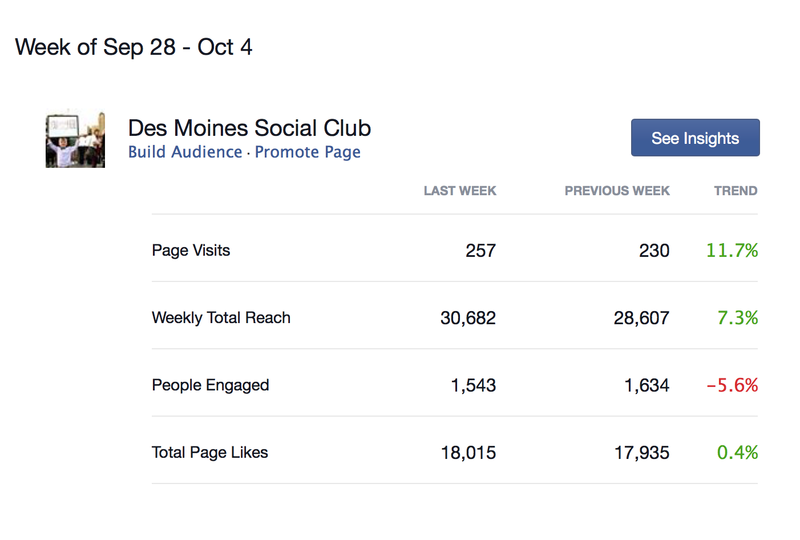 DMSC Copy Week of Monday, October 12th, 2015 (PDF) – This was an average week for the amount of copy I wrote. It still rang in with a respectable 4,000 words! 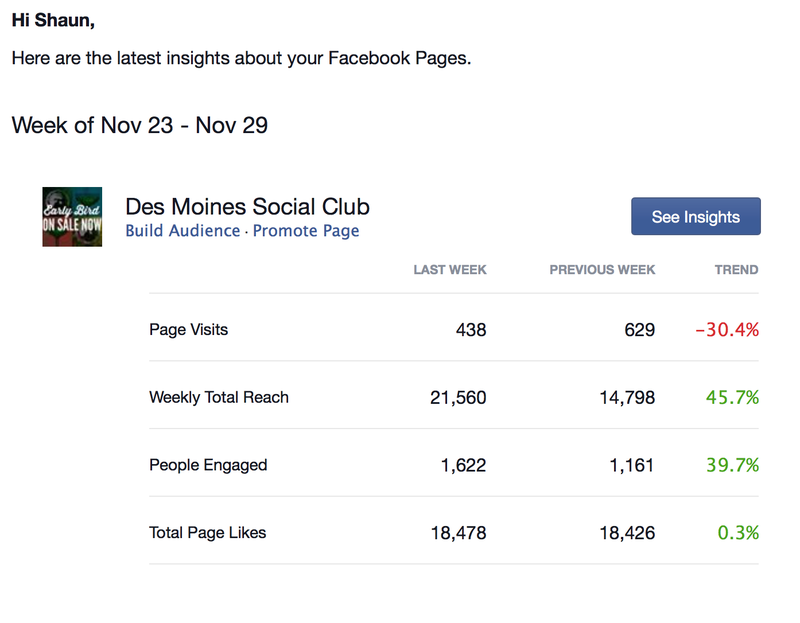 DMSC Copy Week of Monday, November 23rd, 2015 (PDF) – This was one of my heftier weeks of copy with early 8,000 words typed for events and social media posts. DMSC’s Marketing Director Bethany Arganbright assigned to write our press releases each month. These press releases were sent to our media partners, which includes the Des Moines Register, Juice, Cityview, and more. 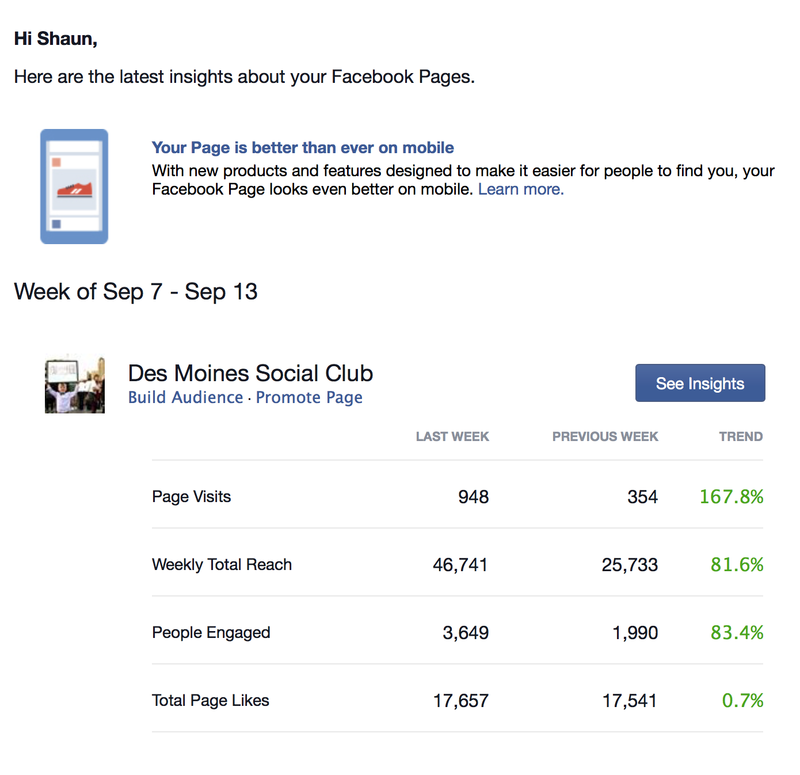 Website Events – Building website pages for events was much harder than Facebook. I had to use the little HTML coding knowledge I had in order to make clean but expressive web pages. Here are a few screenshots of the website event pages I am most proud of while I was an intern at DMSC. 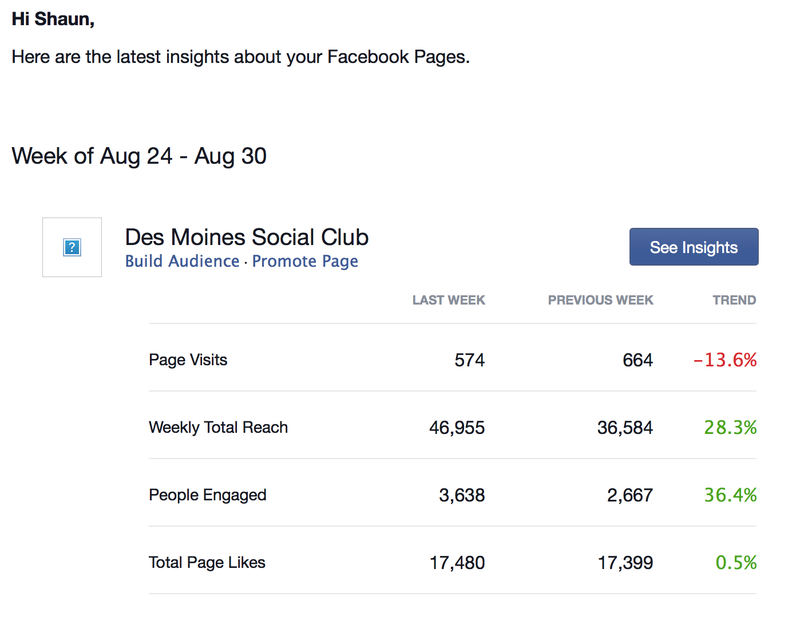 Facebook Insights – Here are screenshots of a few of the best weeks we had on our Facebook page while I was an intern at DMSC. 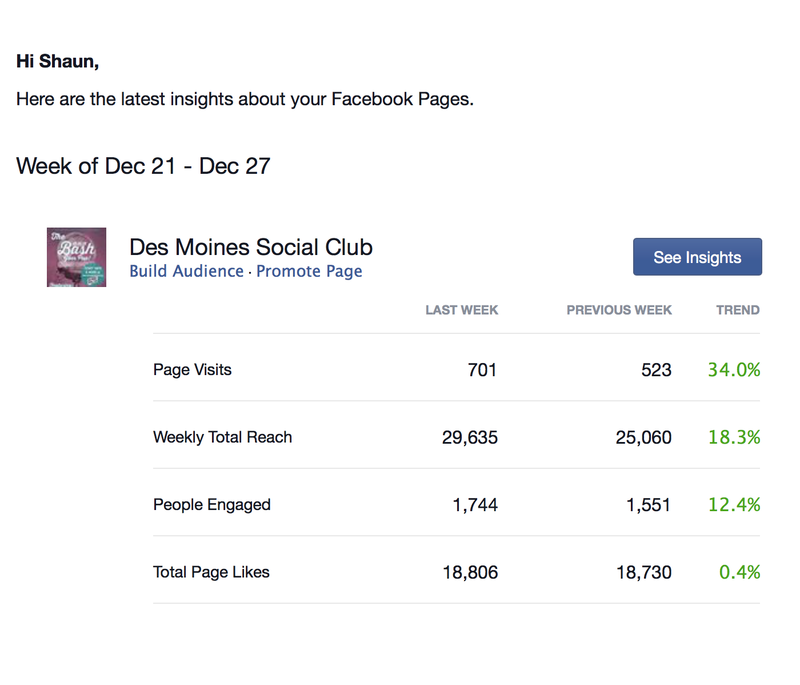 Facebook Events – Here are a few screenshots of the events I am most proud of while interning at DMSC.